While the iPhone users still wonder about what they will and will not be offered by iPhone OS 4.0, Windows Mobile users can now see what their new mobile operating system has to offer. The new Windows Mobile OS is version 6.5.3 and the first cellphone to use it is Sony Ericsson Aspen. The OS has been optimized for touchscreen phones with great improvements to the user interface. Windows Mobile 6.5.3 will also support multitouch. The OS promises consistent navigation by smoothing some things out; we can drag and drop icons on the Start Screen, reducing the number of steps it would take to complete our tasks. There is also news that the internet browsing on Internet Explorer has been revamped; it is reported that the page loading time has been reduced, zoom and rotation speed has been increased, pan and flick gestures have been smoothed, and memory management has been improved. Although it seems unlikely that people will leave their third-party internet browsers which they have gotten accustomed to. Runtime tools have been updated, various bugs have been fixed, and improvements have been made to the error reporting system. 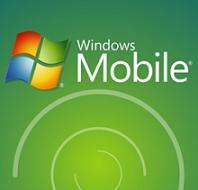 Windows Mobile 6.5.3 is a step closer to Windows Mobile 7, the mobile OS which users have been waiting for impatiently. From the rumors it seems that Mobile 7 will be revolutionary in operating systems for cellphones. The OS will be unveiled at the Mobile World Congress which begins on February 15th 2010 at Barcelona. For now, we simply will have to make do with 6.5.3 and hope it will be further improved by Windows Mobile 7. How do you upgrade to this? I have a AT&T Tilt 2. Thanks!